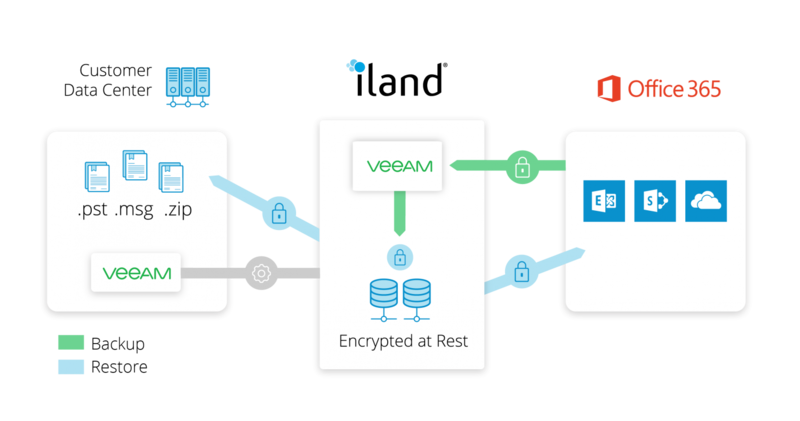 iland Secure Cloud Backup for Microsoft Office 365 with Veeam is an as-a-Service solution that provides complete backup and recovery for your Office 365 data including Exchange Online, SharePoint Online and OneDrive for Business. Your Office 365 data is automatically backed up daily to iland’s secure cloud. With an unlimited storage quota and an unrestricted retention policy plus a 100% uptime guarantee, you can rest easy that you have complete protection. 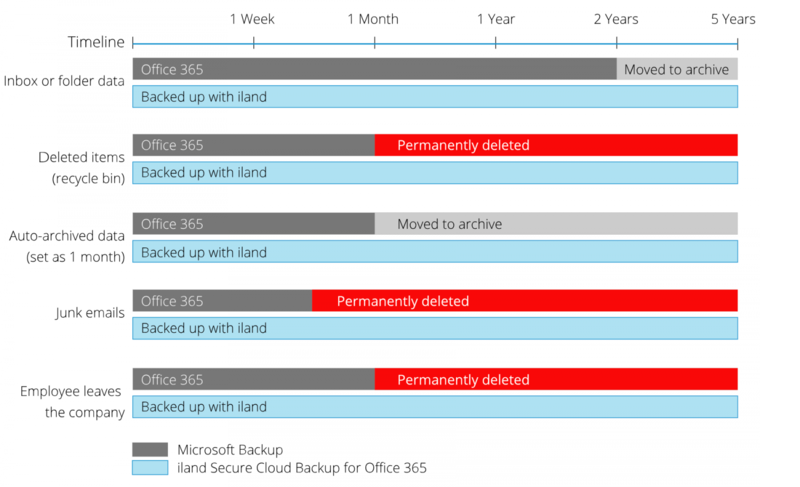 iland protects your critical Microsoft Office 365 data in these risk scenarios. Ability to restore and export Office 365 OneDrive files and folders as well as provide fast, flexible recovery of SharePoint sites, documents, libraries and lists. You’re not alone with our cloud. That begins with our seamless onboarding process through to your ongoing operations – for customers large and small. Our 24×7 support team is available by phone, email and ticketing system to address your questions. iland understands that technical questions represent time and money to our enterprise customers, so we strive to resolve issues rapidly with our committed technical team in each region.